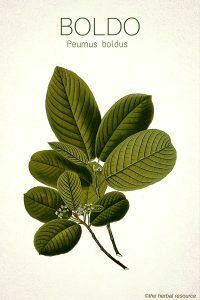 Other Common Names: Boldo tree, Chilean boldo tree, boldu. Habitat: This plant is native to South America and is mainly found in Chile, Ecuador, Argentina, Bolivia, and Peru. It grows on sunny slopes and meadows in the Andes, where it is also cultivated on a large-scale. It has been introduced to many other countries and is now naturalized in the mountainous areas of the Mediterranean and the North American West Coast. Description: Boldo is an aromatic, richly branched shrub or a small tree that can grow up to seven meters in height. It is an evergreen plant with ovate leathery leaves that have numerous small, wart-like beads on top and slightly rolled-leaf edges. The flowers are small, bell-shaped and white or yellow in color. The fruits are small, yellow, edible berries. This species has separate male and female trees so both sexes are needed for the formation of fruits. Plant Parts Used: The leaves of the plant are used as medicine. They are harvested all year round, dried and used in herbal tea (often in conjunction with other herbs) and liqueurs. 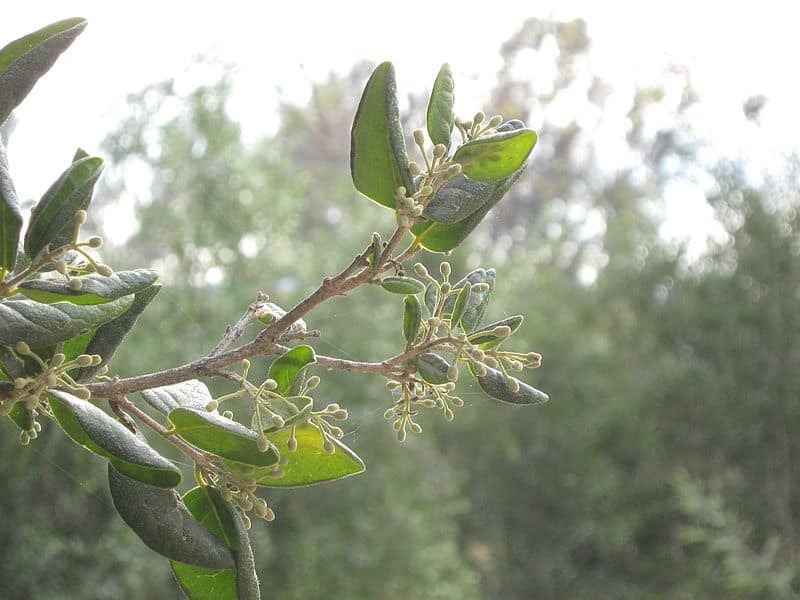 The leaves contain numerous isoquinoline alkaloids and about 2% essential oil (with cymene, eucalyptol ascaridole, and linalool as the main ingredients). Native tribes of South America had been using the leaves of boldo for hundreds of years both as a culinary spice and herbal medicine to treat gout and ailments of the liver, bladder, and prostate. Additionally, it was used as a remedy for insomnia, rheumatism, cystitis, gonorrhea, syphilis, colds, constipation, indigestion and earache. The plant has been used traditionally to get rid of intestinal worms. The toxic ascaridole found in the essential oil has vermicidal properties and explains this use. The herb was first introduced in 1875 to England and the U.S and then used to treat ailments related to the stomach, liver, and bladder, but also as a mild nerve tonic and sedative. Today boldo is primarily used for the treatment of gallstones and gallbladder inflammation. The alkaloid boldin found in the herb has liver protective property and stimulates the production and secretion of bile. Boldo is considered one of the best medicinal herbs for many digestive disorders, such as bloating, heartburn, and poor absorption of nutrients in the stomach and intestines. It is also used to enhance detoxification of the liver and protect against liver damage from toxins and drugs which are known to have a detrimental effect on the liver. The herb has a mild diuretic, mucosal protective, antiseptic and slightly calming effect and stimulates the excretion of uric acid. The herb is therefore often used for urinary tract infections (cystitis), rheumatoid arthritis and gout. 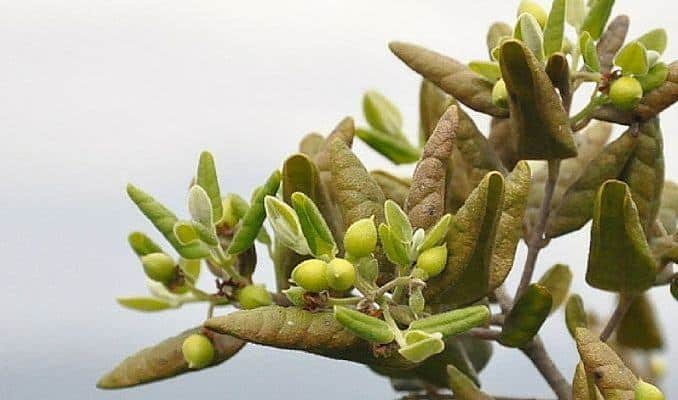 When boldo is used to treat gallstones, it is often combined with other herbs like barberry (Berberis vulgaris) and white fringe-tree (Chionanthus virginicus). For digestive ailments, such as loss of appetite, constipation and intestinal gas it is often used in combination with glossy buckthorn (Frangula alnus), rhubarb (Rheum officinale) and great yellow gentian (Gentiana lutea). A tea can be made from 1 or 2 teaspoons of the dried and crushed leaves in a cup of boiling water and steeped for 10 minutes. The tea can be drunk two to three times daily. An average daily dose should not exceed 3 g of the dried herb. Also, 1 or 2 ml of tincture (1:5 in 60 % alcohol) in a glass of water can be taken two or three times daily. Boldo or any preparations that include this herb should not be used by pregnant or lactating women. When using the herb as an herbal medicine the recommended dose should be followed, not exceeded, and prolonged use is discouraged. As of yet, there seems to be no information about the safety of this herb for children, so in view of the toxic properties of the herb, such use should be avoided. Substances found in the plant might act as blood thinners, and interact with the blood-thinning pharmaceuticals like warfarin so concurrent use should be avoided. Due to the content of the toxic substance ascaridol, any use of the pure essential oil is not recommended, neither externally nor internally.